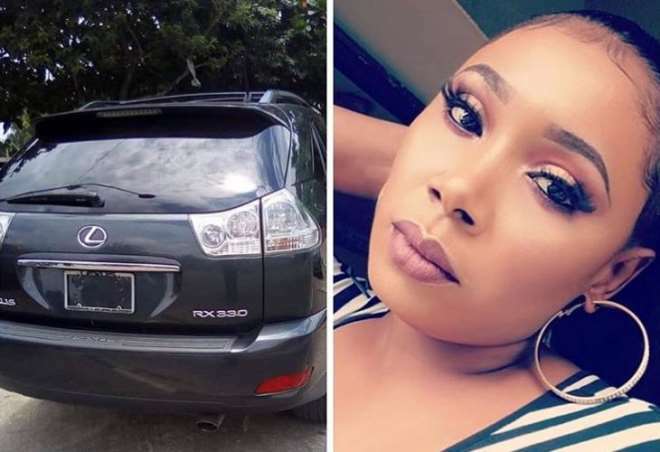 Pretty Nollywood actress, Annes Anaekwe, has joined the list of celebrities who have gotten new whip and it has all been to the glory of God. Sharing it with her fans is not a show of but appreciating God’s grace in her life considering the struggles to make ends meet or herself and her family. It might not be that kind of flashy ride like that of some slay queens but the one God has provided for her I enough to take her places and escape the hustles of stress and the rains. The actress was able to gift herself a Lexus Jeep, which has since been giving her goose bumps considering her struggle and journey in the industry.